The Mini Cooper S Coupe is an adrenaline junkie’s dream and it is easy to see why the MINI Coopers are popular with drivers who like fun, fashion, great performance and being money-smart. The young executive owner of the MINI Cooper S Coupe visited our Carz Makeover Workshop today to have his car groomed and treated with the ZeTough Ceramic Paint Protector. ZeTough is known for its ceramic-like paint protection and long-lasting gleam that is effortless to maintain after the treatment. The Mini Cooper S Coupe differs from the traditional MINI Cooper with its unconventional extrovert design. On the exterior, the base-ball cap roofline dipping far down to the rear speed-sensitive integral spoiler, its sloping windscreen, ultra-rigid body and the racing strips turns heads wherever it goes. The Cooper S packs a turbo-charged 1.6-liter 4-cylinder petrol engine pumps 181 horsepower and 177 lb/ft torque at 1,600 – 5,000 revs and sprints from 0-100kmh in 6.9 seconds for the manual model. The integrated rear speed-sensitive spoiler deploys automatically at speeds above 80 km/h. Mini Cooper S Coupe is a car with world-famous handling and incredibly fun to ride. It gives you the distinctive, refined personality behind the wheel. 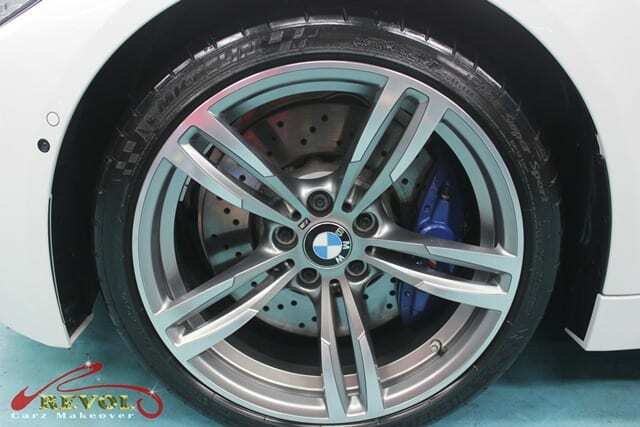 And the ZeTough Ceramic Paint Protection coating enhances the distinction. We hope you will enjoy viewing the total transformation from the before and after pictures of on this beautiful BMW 3series Coupe. With ZeTough paint protection; full exterior detailing; interior cleaning and conditioning, rims restored back to like new condition; this restored beauty was happily ever after with her happy owner. The all-new BMW M4 Coupe hits 100 km/h in just 4.1 seconds! That’s mind-blowing! 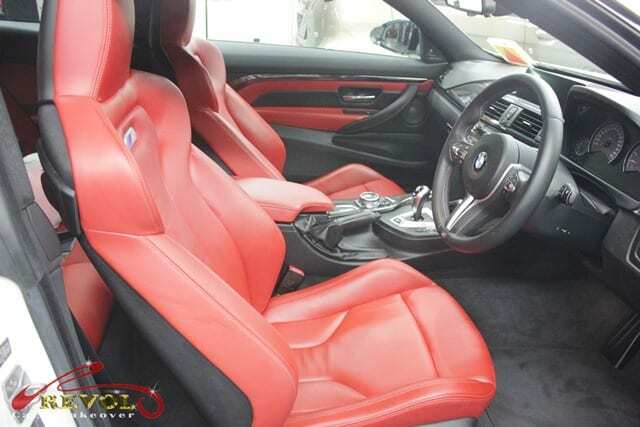 No wonder many diehard BMW fans are thrilled by the newest addition of the BMW M4 performance coupes. We too had the adrenaline-rush when grooming the White metallic BMW M4 at our Revol Carz Makeover workshop today. 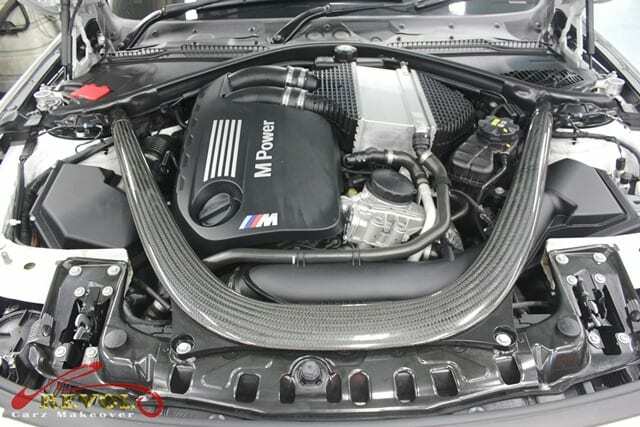 And as always, we recommended the M4 with ZeTough ceramic coating treatment that warrants a long period of paint protection and effortless maintenance. 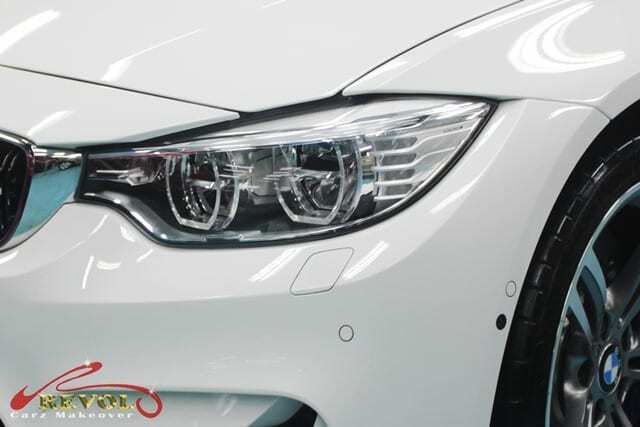 BMW dynamically elongated Adaptive LED headlights with Selective Beam for safer night driving. 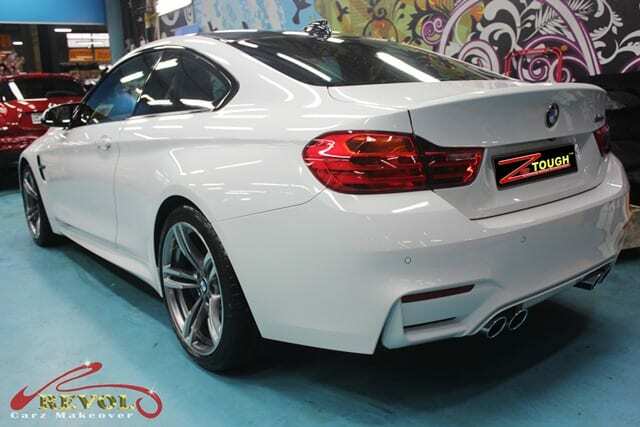 BMW M4 Quad beveled tail pipe exhausts. 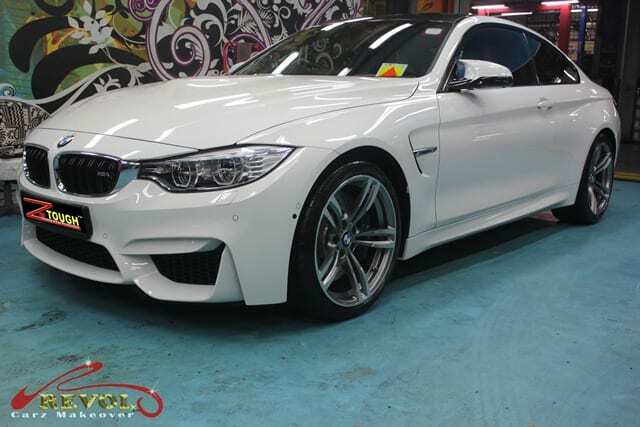 The task of Revol Carz Makeover with the special treatment of ZeTough Ceramic Paint Protection coating has transformed the Austin-Yellow metallic BMW M4 to even more glamorous sports coupe… and turning heads on the road. “Slow and Careful” describes our professional grooming standard. The exotic Italian high performance supercar had a complete paint protection job today at our Revol’s Carz Makeover Workshop and received a scintillating finish with our award-winning ZeTough Paint Protection. Limited to only to 250 units, the Lamborghini Gallardo was named after Lamborghini Test-driver, Valentino Balboni. The all-wheel drive Gallardo LP560-4 is powered by a 552 horsepower direct-injected 5.2-liter V10 engine, controlled by an improved E-gear transmission. Performance of the Supercar is 3.8 seconds in the 0-100 km/h sprint and the top speed of 325 km/h. The Police car version of Gallardo LP560-4 Polizia was the choice of the Italian State Highway Police for its powerful performance. Hope you will enjoy the following photos. The redesigned Gallardo LP 560-4 includes front fascias triangular and trapezoidal forms, larger air intakes and wider rear making this car a stunner from every direction. There is no denying that grooming the Lamborghini Gallardo LP 560-4 was a special experience for us. 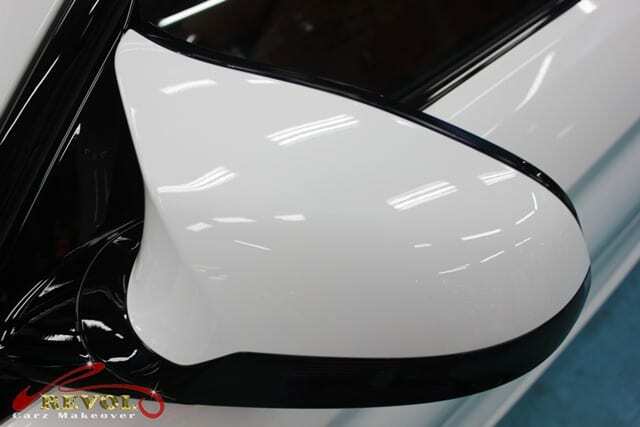 And there is no denying that the special protective shield of ZeTough Paint Protection coating will last for along period of time too.